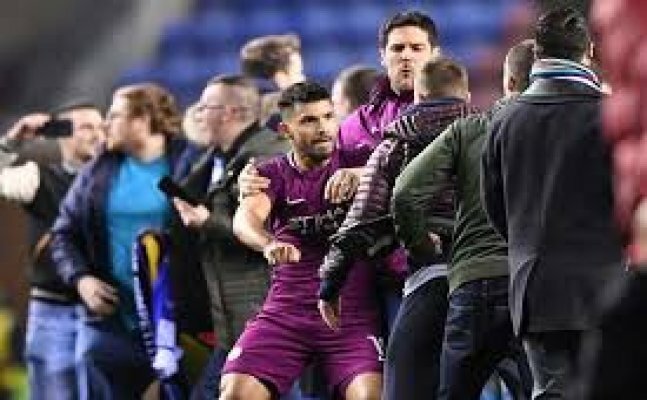 Aguero was involved in a physical exchange with a Wigan supporter as hundreds of ecstatic fans spilled onto the pitch following the League One side’s 1-0 victory in the fifth-round. Sergio Aguero will not face any punishment from the Football Association following an altercation with a Wigan fan after the FA Cup defeat. TV footage revealed that the fans initiated the fight, even spat at Aguero. The Argentine will face no disciplinary action from the FA following the incident, although City's all-time record goalscorer has been "reminded of his responsibilities". "The clubs have until 6pm on Friday 23 February 2018 to respond.